The Philippines is an archipelago, meaning it is comprised of islands, some 7,107 of them. As it is impractical (read: too expensive) to connect the larger islands by bridges or tunnels, the connections would have to be made via either maritime or air transport. In previous postings, I have already written about some of the more modern airports in the country like the Bacolod/Silay, Iloilo and Davao airports. What I have not written about in this blog is something in maritime transport. To get a feel of the current state of commercial maritime inter-island transport (i.e., not including those using motorized or human-powered boats or bancas), I thought it most appropriate to feature fast ferry/fast craft services that are quite popular in the Visayas and Mindanao. I will write on roll-on, roll-off (RORO) services and the nautical highway in the future. There have been much progress in the upgrading of maritime transport services between islands in the Visayas and Mindanao. 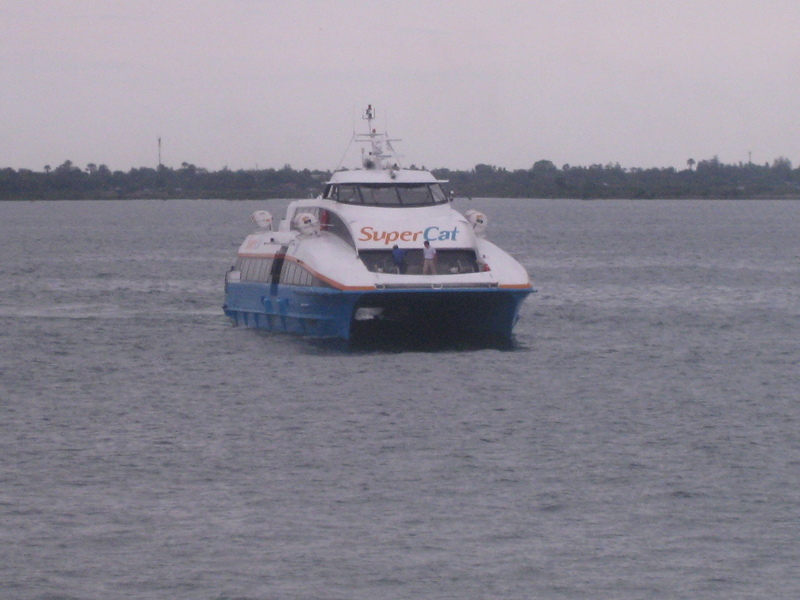 This was made possible with the introduction in the 1990’s of fast craft or fast ferries popularly called Supercat with the cat in reference to the catamaran-type vessels plying routes like Bacolod-Iloilo, Cebu-Tagbilaran and Cebu-Dumaguete. These fast crafts effectively cut down travel times by half with the Bacolod-Iloilo run trimmed down from 2-2.5 hours to 1 hour. 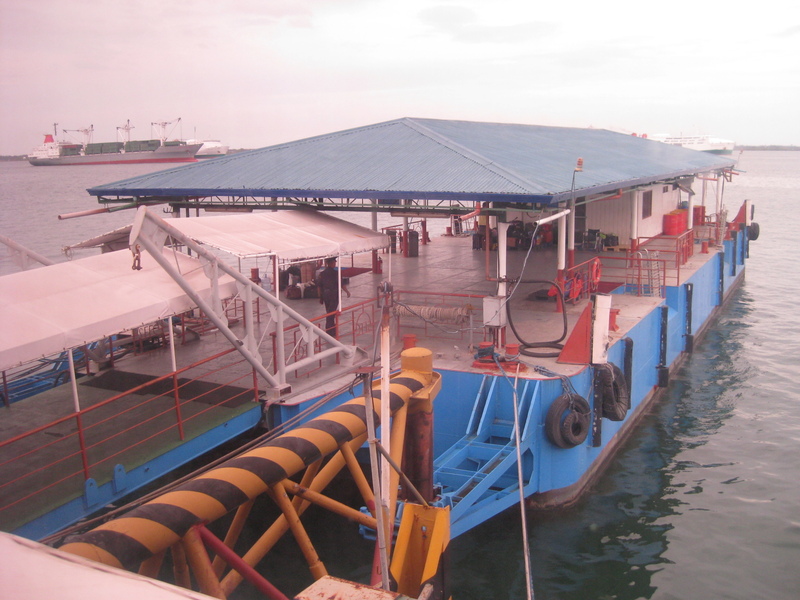 Following are a few photos of fast crafts and terminal facilities in Cebu City. 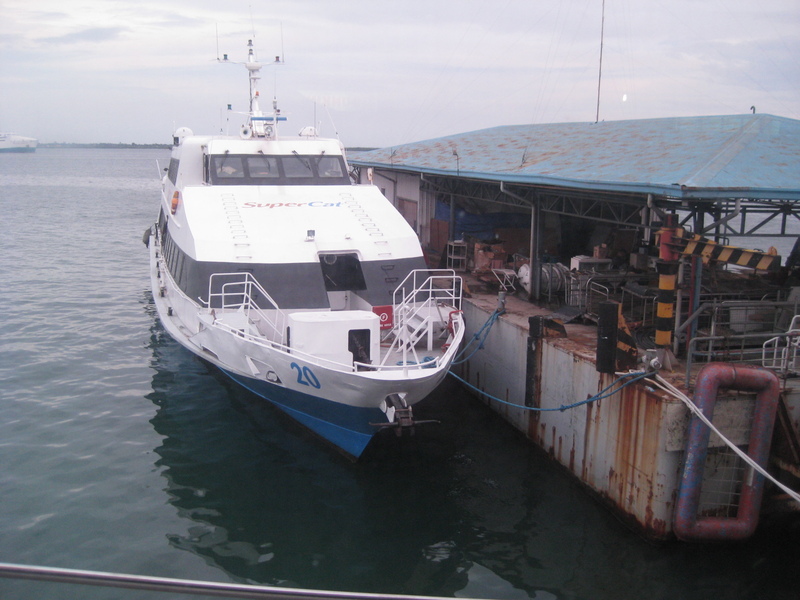 Typical fast ferry docked at the Cebu terminal of the Aboitiz Co. 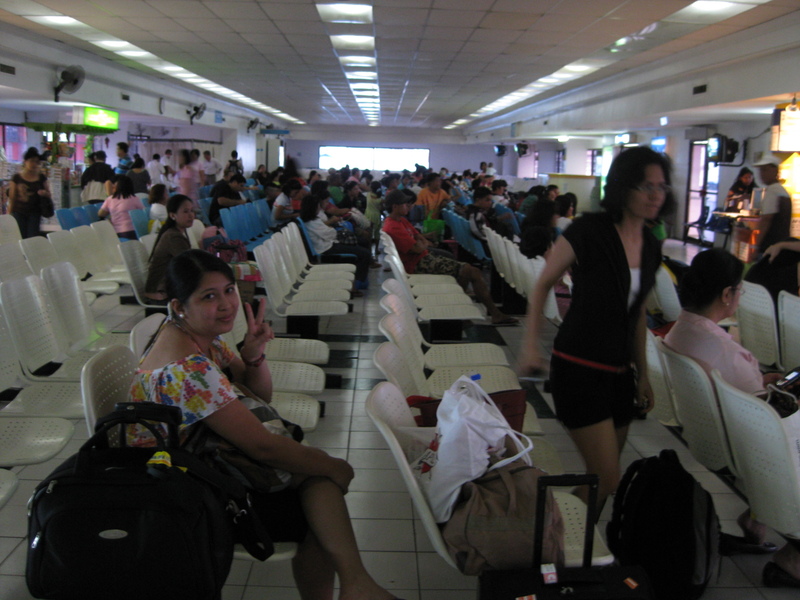 Inside the fast ferry terminal, there are plenty of space and seats for waiting passengers. There are also concessionaires selling food, drinks and souvenir items. On-board the SuperCat, seats appear like those for long-distance buses complete with head rests for the comfort of passengers. 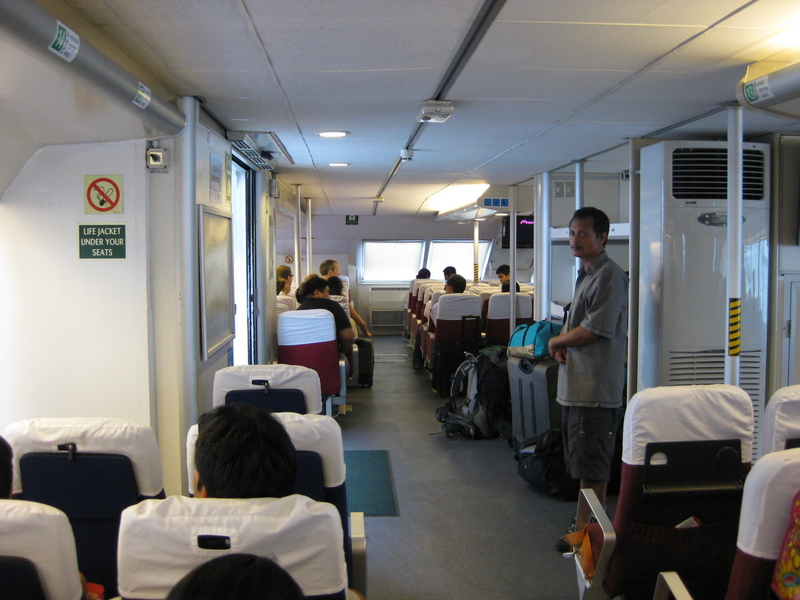 The vessel cabin is fully air-conditioned. Another view of the seats inside the vessel show comfortable seating for passengers as well as wide windows for those wanting to have a view of the islands. 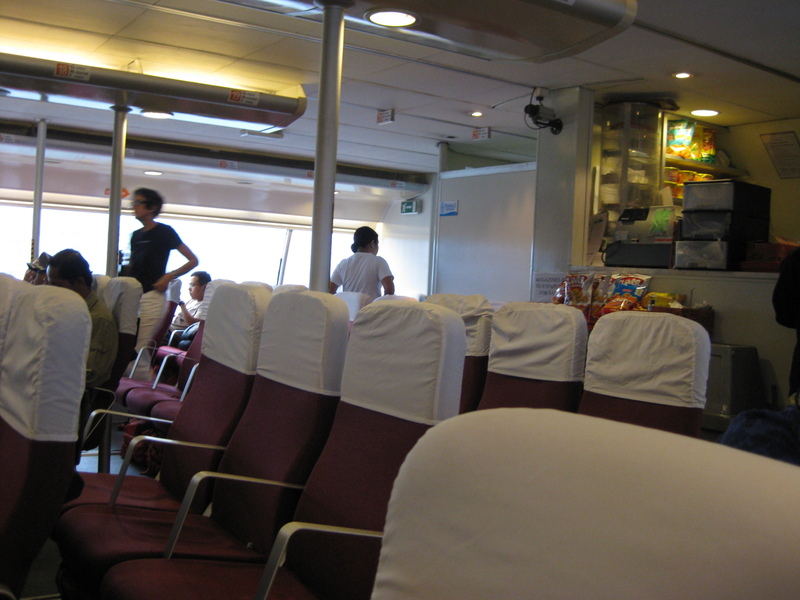 There is also a snack bar inside the vessel serving food and drinks to hungry or thirsty passengers. 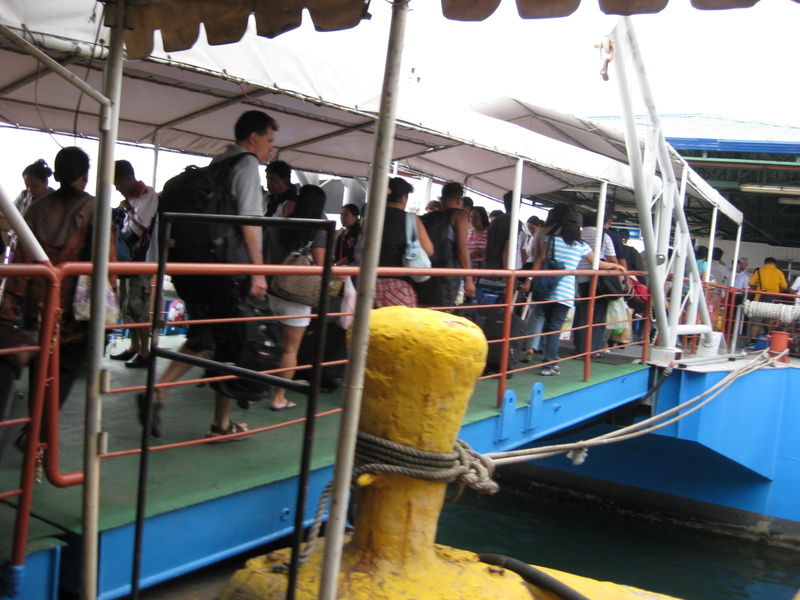 Fast ferry/fast craft services are quite popular in the Visayas and Mindanao and provide a less expensive option to air travel. These complement the RORO services that are more about long-distance travels between cities in different parts of the Philippines, like for example Manila to Iloilo. Such services offered by fast craft are essential for both commerce and tourism and should be encouraged for further development or upgrading, especially in terms of terminal facilities that are still wanting or deficient in many ports in the Philippines. By d0ctrine in Infrastructure, Maritime transport, Seaports on December 5, 2011 .